Ooooooooooooooh boy! It’s that time again! Japan has begun their new season of anime and that means I get to go to work for the next few weeks on talking about a bunch of them! I have 20 new series to kick off my Summer Impressions season with and three episodes to narrow it down to a reasonable amount! I’ve been rather busy lately, so I’m only doing once a week Impressions and covering as many series that have come out during that time! Not only that, but I currently don’t have a Crunchyroll Premium Membership so I may behind an episode when posting these. So, yes, I am aware that more episodes have aired, I just can’t access them legally (unless they haven’t been picked up at all) So, in other words, this season may take longer than normal... But, anyways, let’s do this! Well that got dark rather quickly! I was a bit skeptical at first when I was looking at adding this series to my Impressions list, but after that first episode I kinda like where this is headed. Seeing the dark side of the capital in a rather creepy and sadistic way certainly caught my attention. Then there’s our lead, Tatsumi. He can be seen as the typical happy go lucky guy who happens to be pretty strong, but I got to give him some credit because his lack of hesitation is rather surprising. I didn’t think he could manage something like that so easily (if you’ve seen the episode, you know what I’m referring to). Akame is also a little stereotyped right now, but I see potential in her character as well. There’s a good mix and the series has possibility. I’m a little worried that the series showed us its hand a little too soon, and now it has to keep itself on that level. 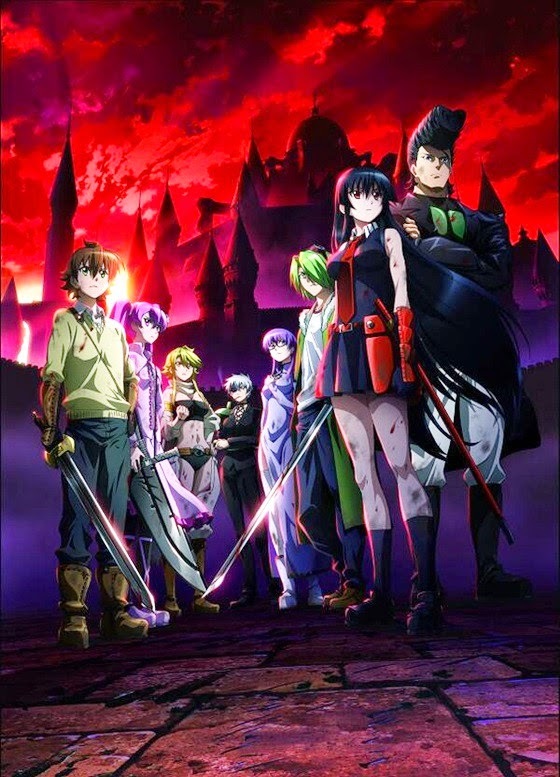 We’ll just have to wait and see as Akame ga Kill heads into next week. Mecha anime and I have some interesting times. If it’s a good series like Code Geass then I enjoy it a lot! But that’s because it adds a lot more to the series than just giant robots fighting other giant robots. The reason why I’m bringing up Geass when talking about Argevollen is because some of it’s political story can been seen as kinda similar to Geass. 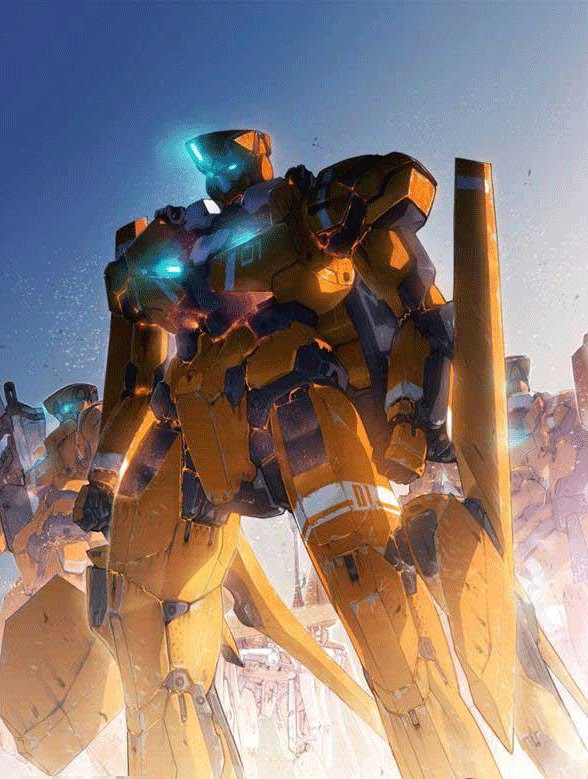 The world is at war with each other and people in giant mechs are being sent to the front lines in order to help save the day. But that’s kind of where this comparison ends. 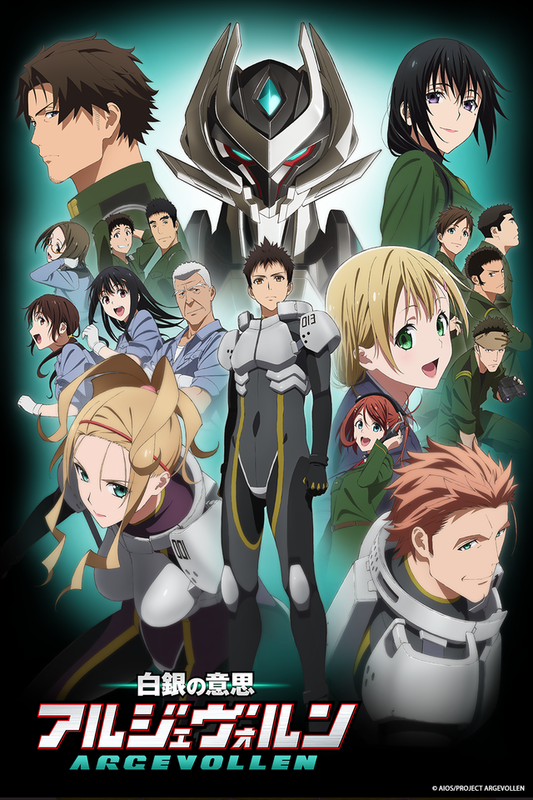 After that, Argevollen is just your generic mecha anime. The Argevollen itself is an interesting machine, reminding me just a bit of Gargantia’s Chamber. However, because it’s trying nothing new outside of that, I actually almost fell asleep while watching. When this happens, there’s only one reason and that’s because of boredom. I wasn’t excited during the episode and I didn’t root for anyone in the big battles. Hell, I’m still trying to wrap my brain around the exposition that was given. Sadly, Argevollen has lost the battle with me and isn’t heading into week two. I know the mech lovers will find enjoyment out of this. Sadly, I’m not one of them. So far, this year, I’ve given two Yuri series a try: Sakura Trick and Riddle Story of Devil. But I haven’t actually had the chance to give some BL (Boy’s Love) a try, and this season may change that because there are two that I’m looking into. 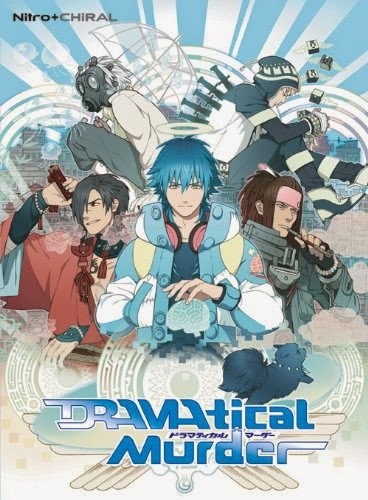 The first is DRAMAtical Murder (the other won’t happen till next week, sorry!). This one is a little bit of an odd ball to me. This is the second series to pop up from Studio NAZ, and the only other animation production credit they have is for Hamatora from the 2014 winter season. So, since they are fairly new, it explains why the animation seems rather off. Also, the story takes a little to get into because it seems a little bit jumbled to me. There are bits and pieces you would think render some explanation, but doesn’t really happen. And yet, somehow, I’m kinda intrigued by this series. It might just be that I’m curious what the heck is going on to Aoba (though I have a theory on that), but I’m still rather cautious on this one. With that in mind, DRAMAtical Murder gets another chance to woo me next week. But it needs to be careful because I’m pretty close to dropping it. 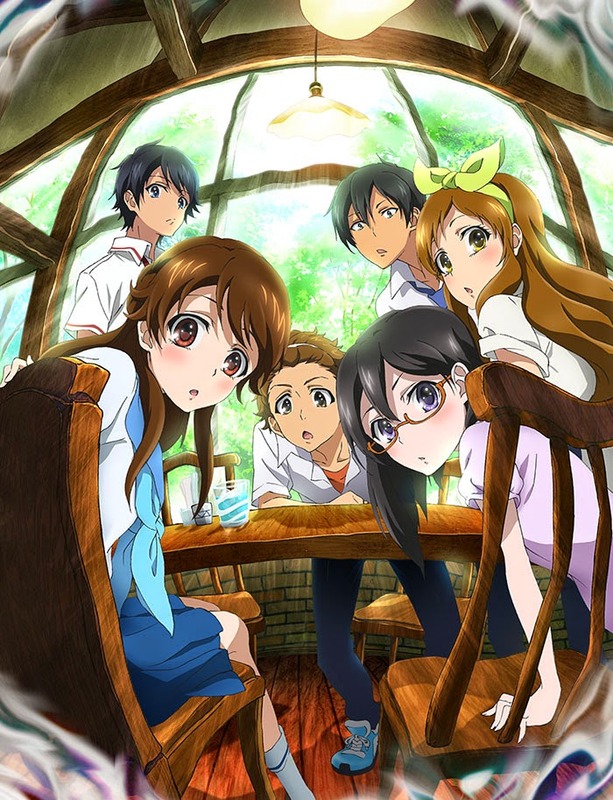 Glasslip is actually one of the series I have been really looking forward to this season alongside Tokyo Ghoul and Terror in Resonance (which I’ll get to in a minute). The premise just seemed too cute to ignore and I was really looking for a nice little series to balance out some of the crazy ones the summer has to offer. Though... I’m a little confused. There are a few things that have happened in the series that have left me with some questions. The biggest one I have being, what in the world is Okikura talking about and what is his deal? That’s the one thing I would love to see cleared up in all this, and I hope I get my wish. I guess that means Glasslip is sticking around for another week or so. It’s just been a simple charming show with a little bit more added to it. What that little bit is yet, however, is the mystery. This is one of those times where I understand why a series wasn’t picked up for streaming. It’s a nice idea and everything, but it’s rather dumb. The start of the episode was rather abrupt and wasn’t planned out all that well, while the rest of the episode proceeded to be an odd little mess. Honestly, this one was not that funny or all the interesting. I think if the set up was better than it would have a fighting chance. 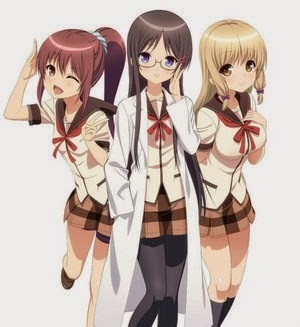 Sadly, though, that’s not happening so Jinsei is out. If only it were a little more clever than what it was, then we’d be getting somewhere. Sometimes I know exactly how I feel about a show, and sometimes I don’t. Locodol is the latter of the two. I can see the charm and appeal and there were some funny moments in the series. But, for some odd reason, it’s a little bit dull to me. It’s kinda hard to explain because I can’t really put it into words all that well. I will say, there are better idol series compared to this one. I can tell that much. Hell, it’s possible Shonen Hollywood is better than this series! I’m rather conflicted as to letting it head into next week or kicking it off the stage now. I think I’ll keep it in right now and see where it wants to go. But, it is on the weaker end of my list of watches so it may end out up next week. We’ll have to wait and see. What is it with perverted main characters that get people to enjoy a show? I mean seriously! It can drive me a little crazy sometimes. But I’m going to try and look past that and just focus on this series. And, I’ve got to say, I kind of like the set up here. As dumb as getting to that set up is, it’s at least acknowledged that it was kinda dumb. Being able to recognize that in your own show is pretty good rather than just ignoring it. The story doesn’t have too bad of start right now, so there’s a plus. But, right now, I have some problems with the main characters because they are rather cliched. You have a pervert and a rather stoic, moe girl. It’s a little troublesome because we’ve seen this hundreds of times now. However, I am curious to see where it plans to go so for the time being I’ll keep Majimoji in. The humor wasn’t too bad and the set up is still pretty good. I would just love to see a slight break in the character mold. 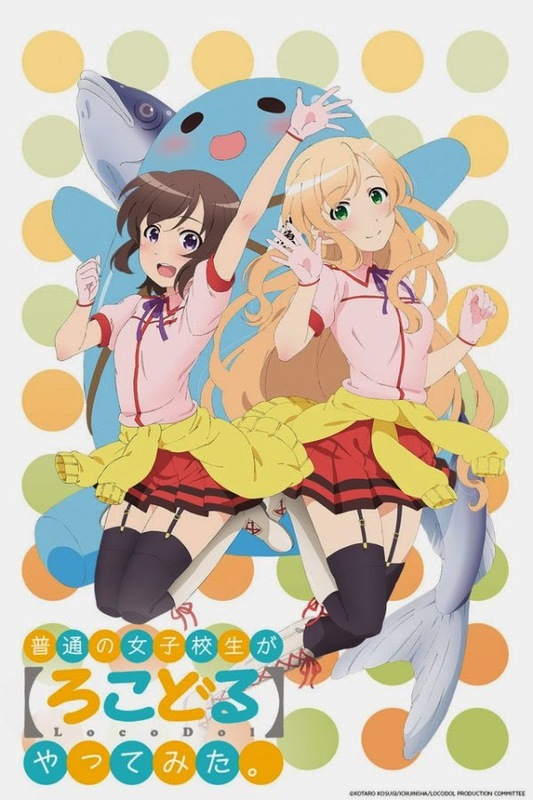 Monthly Girls’ is another series I’ve been looking forward to this season, because the premise just sounds hilarious. And after the first episode, I was right! Though it does have a rather stereotypical basic set up here (girl likes boy, girl tries to tell boy, boy doesn’t quite understand, and then funny times), but the manga artist part managed to give it a fresh feel and a lot more charm than what I was expecting. Sakura and Nozaki can also be a little cliched sometimes, but their chemistry is still something admirable. Then there’s the humor. There’s no doubt in my mind that this wants to be a comedy, and I am perfectly fine with this. Thanks to the chemistry between Sakura and Nozaki along with the shoujo aspects, I couldn’t stop laughing! It’s very likely that this series will be the comedy I end up watching for the season, but there are two more episodes that could prove me wrong. 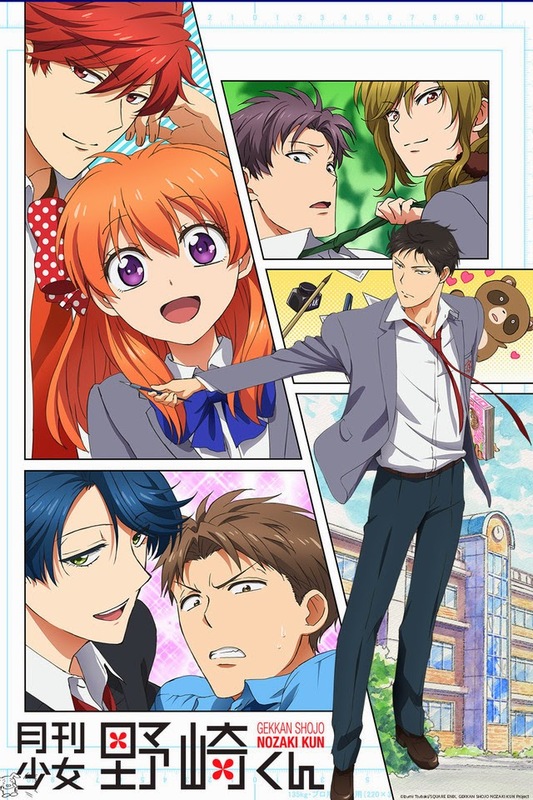 Nozaki-kun’s next issue will be next week! This series is certainly strange. Strange as in it’s something I haven’t seen before in anime. At the same time, it’s also something I don’t think I’d be excited to watch every single week. It has a good premise and the first episode was decent, but the forced fan service and random action scenes (though they are executed nicely) leaves me a little distant. The characters are also rather stereotypical, only changing their interests in order to fit the series and all them trains. 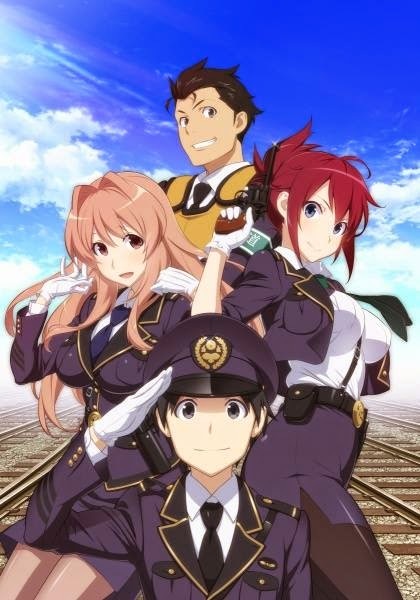 This one is a tough call, but I’m going to let Rail Wars take it’s final stop here. It has nice ideas, but I feel that they aren’t really coming out all that much thanks to the fan service and characters holding it back. At least I got to learn a little something about trains today. I had a strong feeling I wasn’t going to like this one, but I decided to try it and see where it goes..... And I was right. I’ll admit I haven’t seen Girls Und Panzer or other similar series to this one, so it’s a bit new to me. However, there wasn’t anything all that interesting or truly noticeable that grabbed my attention. 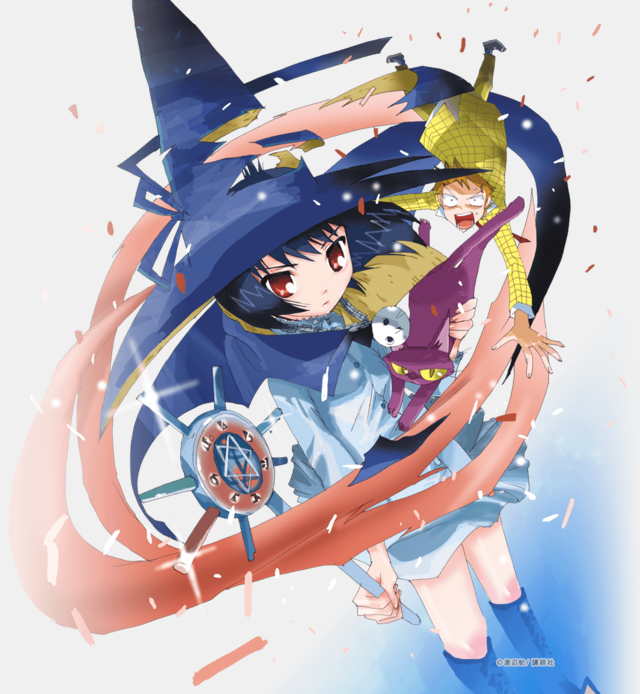 The animation is rather dull, the characters boring, and the humor isn’t all that good in my opinion. This isn’t something I would get excited for each week, and it’s disappointing. I sincerely hoped that I would be wrong about this series, but I suppose not. Sadly, I’m revoking my club membership with Sabagebu. This just isn’t my kind of show. This is probably one of the oddest series I have seen this season, premise wise. We’re in an older era of Japan where, apparently, samurai idols control everything. But we have some rebel rockers pop in and stir things up with their music. Yeah, that’s basically what I got from the first episode. It’s certainly not like any other music related shows I’ve seen before, but I’m not sure if that’s a good thing or a bad thing. One of my Twitter followers actually summed it rather well: “It’s so dumb, but it’s dumb like a puppy: cute and rambunctious and you can’t help but have fun with it!” As silly as the idea of the series is, it has been some good dumb fun so far and that’s not a bad thing. Also, the humor and odd transformation sequences, I guess we can call it, made me laugh so much! 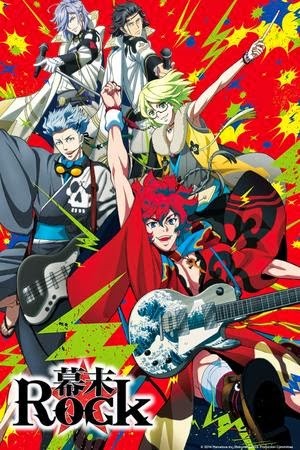 I am very interested in seeing what the hell this series plans to do with itself, so I’ll keep rocking out for another episode. This will be fun! This past winter, I gave the idol gig a try with Wake Up, Girls! 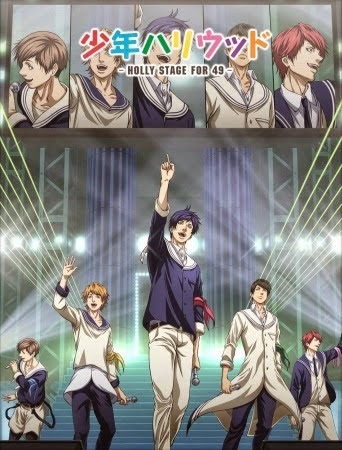 This season, I’m going to try it once again, but this time with an all male idol group. After watching the first couple of episodes, there are a few good points and a few bad points going on here. The good points are its humor and how the series actually starts. Because of the varying personalities these five boys have, that in and of itself has some humor to it. Add on some idol training moments I laughed at and it becomes even more enjoyable. As for the starting point, what I mean when I say this is Shonen Hollywood actually doesn’t start off all that cliched. 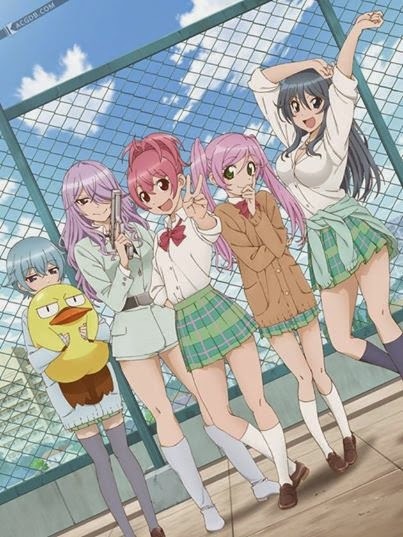 When you look at other idol series, the first episode or so involves the forming of the group. What Shonen Hollywood starts with is the group already formed and in training. Breaking the mold is something I do have to give props to, as it does bring in something slightly different. But there are some complications with being different. One problem I’m seeing, but it’s only minor, is the animation style. It’s VERY different than what people typically see in idol series, much less moe or shoujo. That’s going to take some slight adjusting since, again, it’s a minor issue. The bigger problem I’m having is the show’s pacing. The first episode actually dragged on a little too long for my liking, and it made it a little hard to get through. The second episode was a little easier to sit through, and it picked up a tiny bit which helped a lot! So far, I do like the direction this series is headed and our main character Kakeru is beginning to grow on me a bit. For now, Shonen Hollywood will be making its way into next week where it’ll receive a final grade from me for the season. Maybe it’ll pick up a little bit more next time! I’ve seen quite a few things from Watanabe and Yoko Kano. I’ve seen Cowboy Bebop, Samurai Champloo, Kids on the Slope, and Space Dandy is the current big thing. Funny thing is, I didn’t know they were attached to Terror in Resonance until just recently; and this is probably one of the biggest shows I’ve been looking forward to this season even without knowing their involvement! If I didn’t even know it, then I would have been amazed by the work being done here! But, since this is a Watanabe/Kano team up, I’m still not surprised at how FREAKING AMAZING AND AWESOME IT IS!!! I’m not joking! This series has a little bit of everything in it. It has action, it has some mystery, some mind games (mostly nightmares), and even some thriller. It kept a nice pace throughout the episode and even manages to leave questions that I am dying to know the answers to! My only concern, right now, is Lisa and her character. I don’t know why, but I’m just not all that interested in her personality. Yeah, kinda mean of me to say all things considered, but I know this will more than likely be fixed thanks to Nine and Twelve dragging her into their mess. 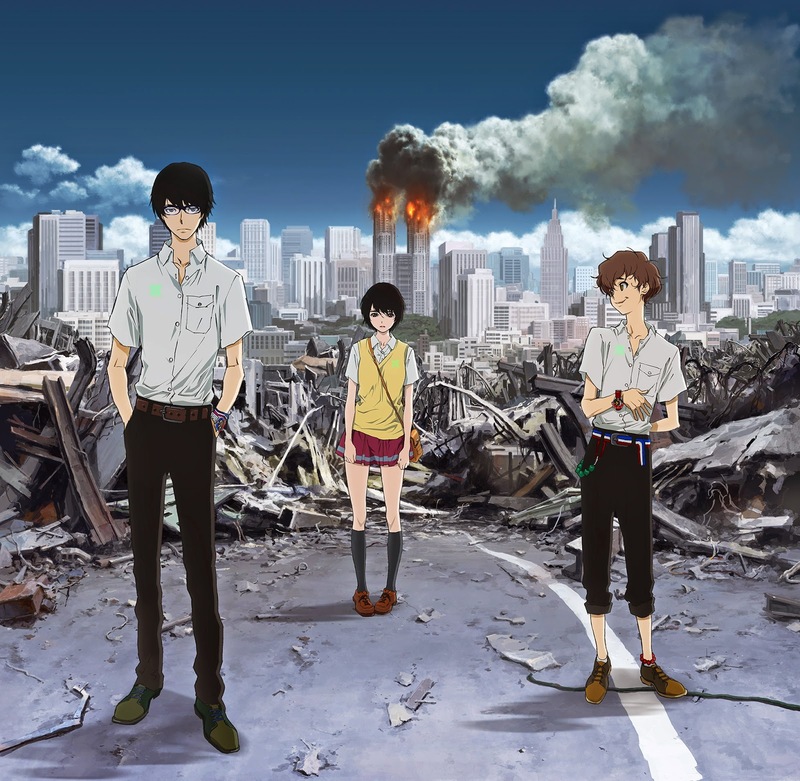 For now, Terror in Resonance is moving to next week. No ifs, ands, or buts! Right now, this is my season favorite and I can’t wait to see what’s in store! Well, then. This one certainly started off with a bang, didn’t it? There is a lot going one here, similar to Terror in Resonance. Hell, this is even being caused by esper terrorists of all things! But there’s one major problem ESP has right now and that’s the amount of action thrown in. There’s just way too much going on here. Because of the massive attack the rouge esper group is pulling we have no good introduction to our major characters. This is a HUGE problem for me because I don’t know who to focus on. I get the fact that this was a lead up to our supposed main heroine’s entrance at the end of the episode, but it was still too much and it was difficult to take it all in and digest it properly. Even though I got lost during the episode, I am interested to see where this goes now that we have a character to attach to. 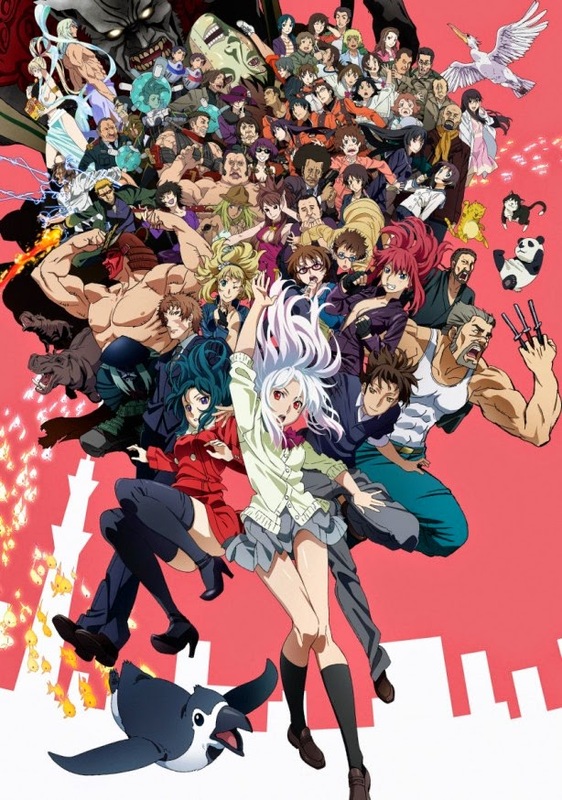 So, for now, Tokyo ESP will move ahead to next week. Just do me a favor, ESP, CALM THE HELL DOWN!! 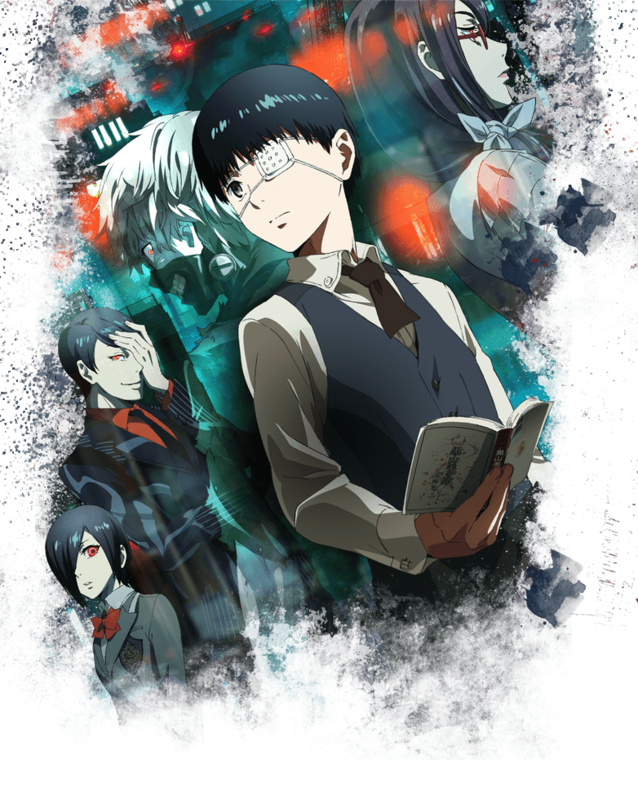 This will come to no surprise to anyone, but Tokyo Ghoul is one of the other series I’ve been extremely excited for this season. Horror anime, duh! Anyways, the first two episodes were rather interesting. The set up was a little fast since it had to, basically, throw Kaneki into the world of ghouls. Looking past that, this series has a lot of things that made me fall for the horror genre in the first place! From the gore to the creep factor and then there’s those mind f**ks Kaneki now suffers from, there’s a lot going on here that I just can’t not fall in love with! The one issue I have, really, is the time we spend in the first episode before Kaneki gets the organ transplant. It could have been longer. I feel like there wasn’t a lot of time to establish his character before this major change in his life, and it’s rather disappointing. I would have loved to have seen and gotten to know human Kaneki before he becomes half and half Kaneki so that way I get a better understanding of his struggle with this transition. I sincerely hope this is made up for in some way, even if it has to happen in flashbacks. It would just make the inner struggle all the more powerful, in my opinion. Regardless, though, Tokyo Ghoul will head into the next week where it will get a grade from me. I’m sad that it’ll happen so soon to this series, but I gotta do what I gotta do! So, the question now is..... Where am I in all this season’s mess?!?! Need some other opinions? Well, myself and the anime guys at Infinite Rainy Day are also covering the summer season including a few extra you may not see here such as Sailor Moon: Crystal and Persona 4: The Golden Animation! So click the link here and check out the opinions of one girl and four guys on a crap ton of summer shows! And until next week, otaku on my friends!